If you are not sure about the size, click on "skip for now". 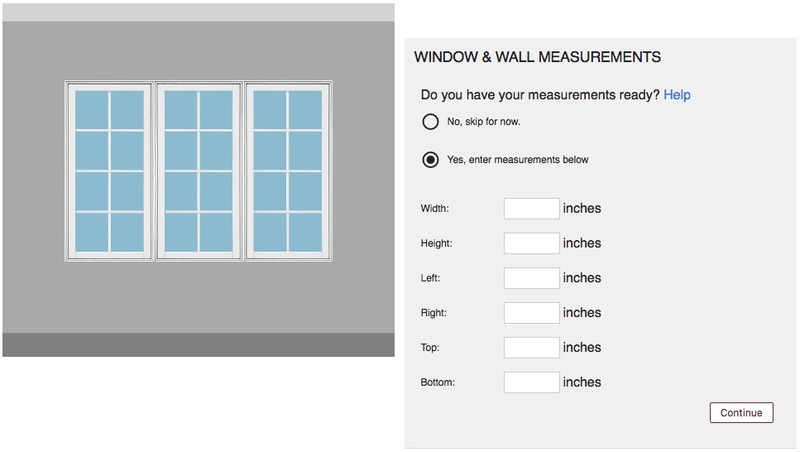 Otherwise enter the measurements accordingly and we will recommend a size based on your inputs. You can always click on "Help" to get size guidance. 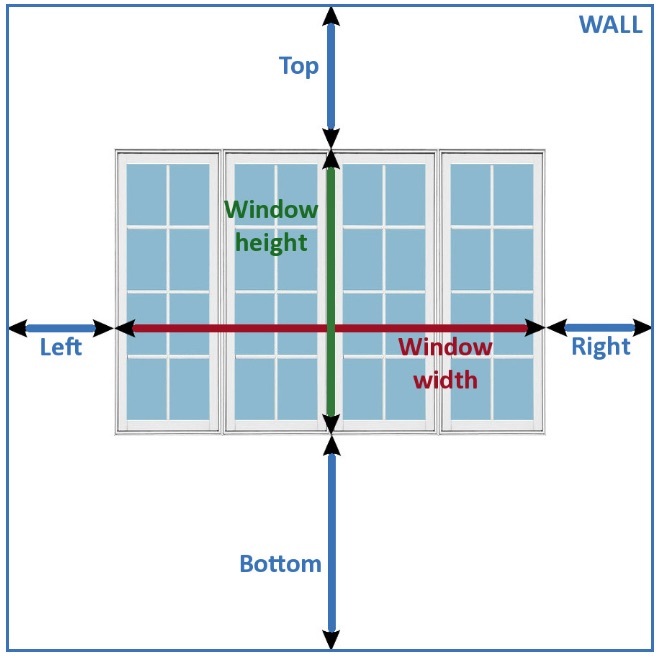 If you choose to skip entering window size in the step 1, you can use the default window treatment size (100"W x 96"H) to get started with the design. 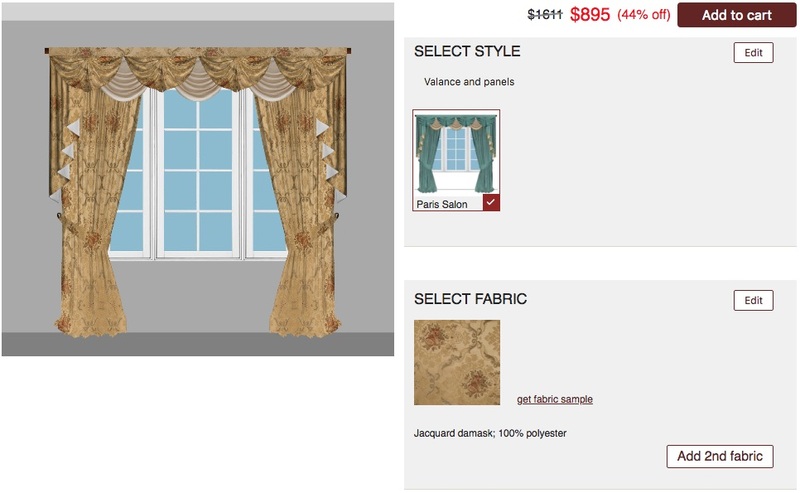 If you already know the curtain size you are about to order, simply click on "Choose your own" and enter the width and height. That said, you can always come back and fill in the correct size later. 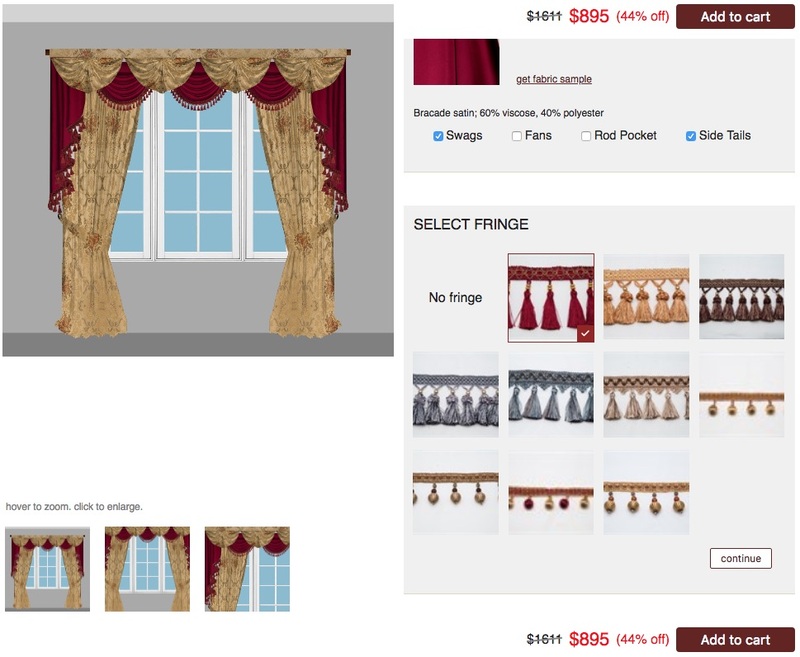 If you want the full set, click on "Valance and panels"; if you want valance without panels, click on "Valance only". Click on the style icons to see the style in the main picture frame. 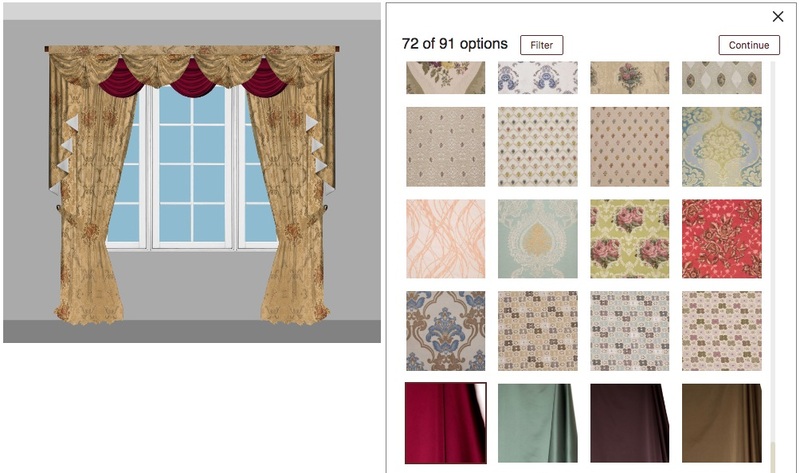 Click on any fabric icons to see the selected style using a certain fabric. 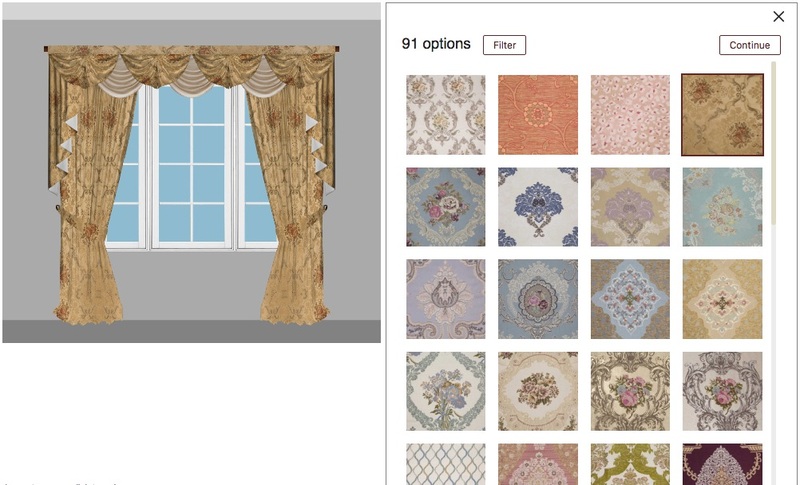 If you already have an idea of the color and pattern, click on "Filter" to narrow down the selections. 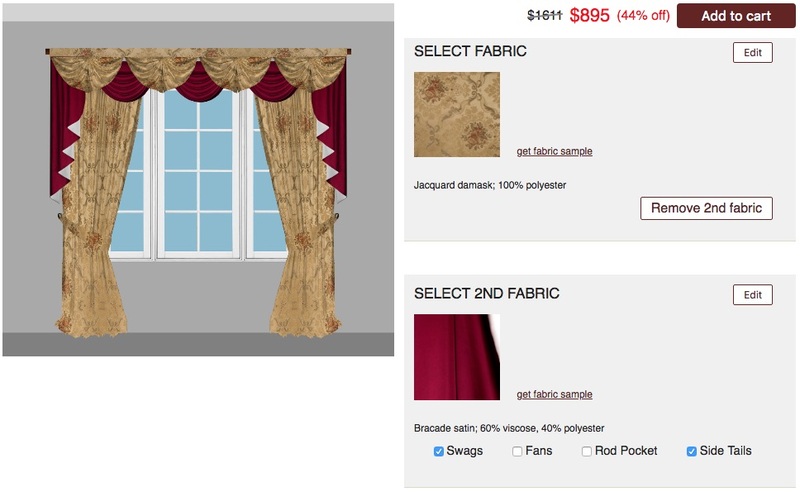 Click on "Add 2nd fabric" button to unlock the option of having a second fabric on some parts of the valance. It will open the fabric selector again and you can click on different fabrics to see the simulation. Once you choose the second fabric from the fabric selector, the simulation will show a default placement. However, you can alway change the placement by checking the boxes on different options such as "Swags", "Rod Pocket", "Size Tails", etc. The simulation will change accordingly. Explore the advanced option! You can choose "No fringe" or different fringe option. The price will change with your selections and you can add your design to cart any time. That said, you can always come back and edit the item in cart later. 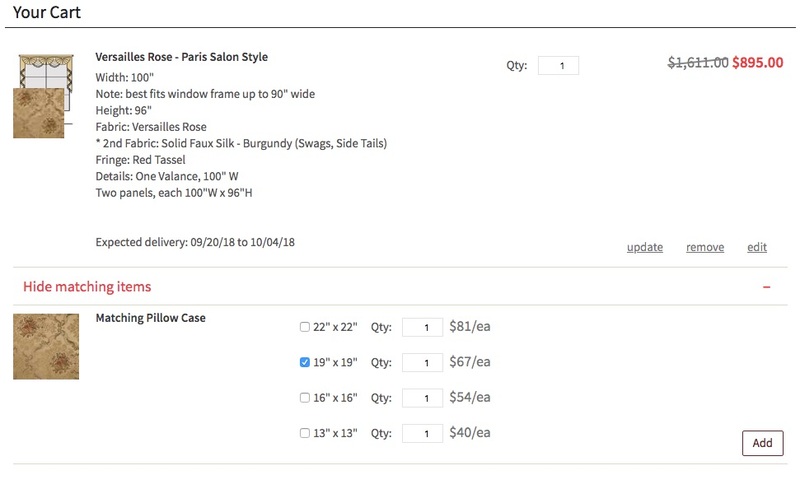 If you want to add same-fabric pillow cases, you can click on "Add matching items" in cart and choose the sizes you want and click "Add" to add the pillow cases to cart. 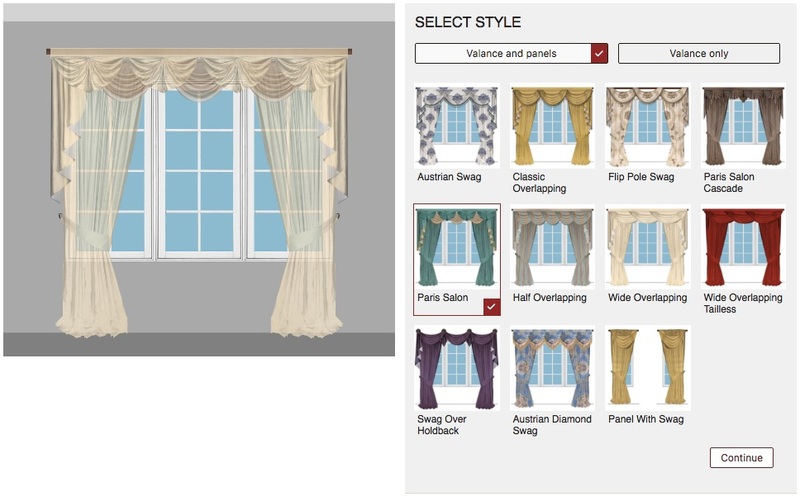 Have fun exploring the customization tool and start designing your own curtains now!